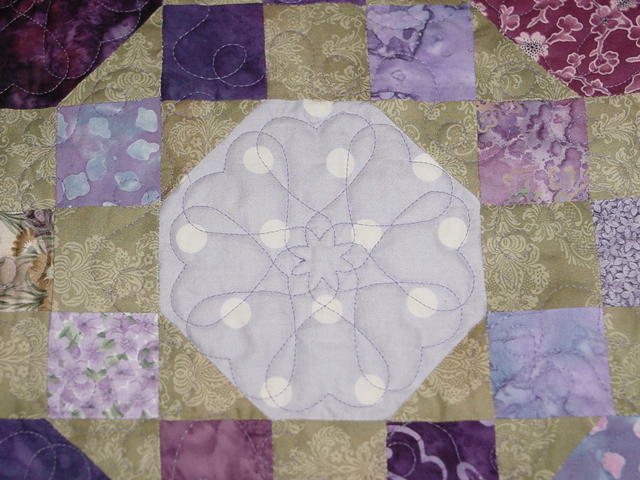 Emily’s Purple Quilt is finished, back from the machine quilter and finally with binding stitched on. Stormie approves! 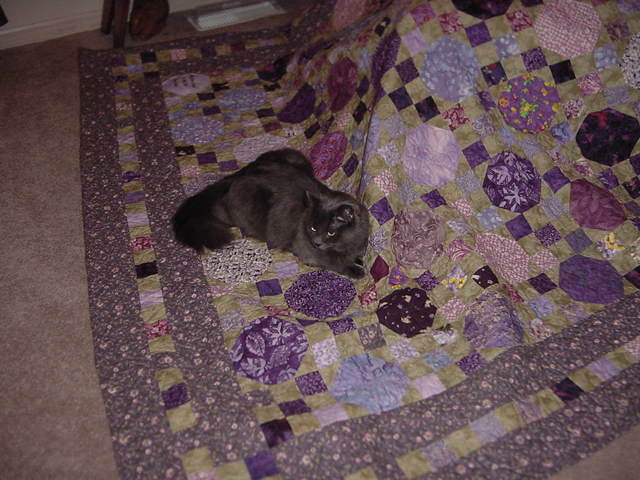 Everytime I put the quilt down to take a picture, she hops on board. She must have been a quilter in another life. Everytime I sit down to quilt with my hoop on my lap, she crawls under the hoop. When I set the hoop down with a quilt inside, she hops on it like it’s her own personal bed. Guess I need to make one for her for Christmas! 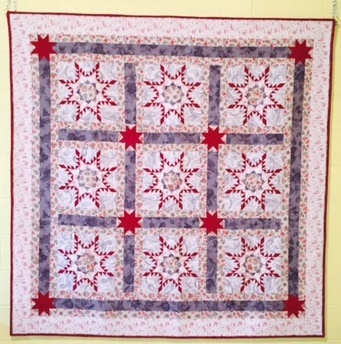 My machine quilter Kari does beautiful work. Look at the pretty hearts she put in each purple square! I can’t wait to see the expression on Emily’s face when she opens her present. Stay tuned – I’ll post it online!